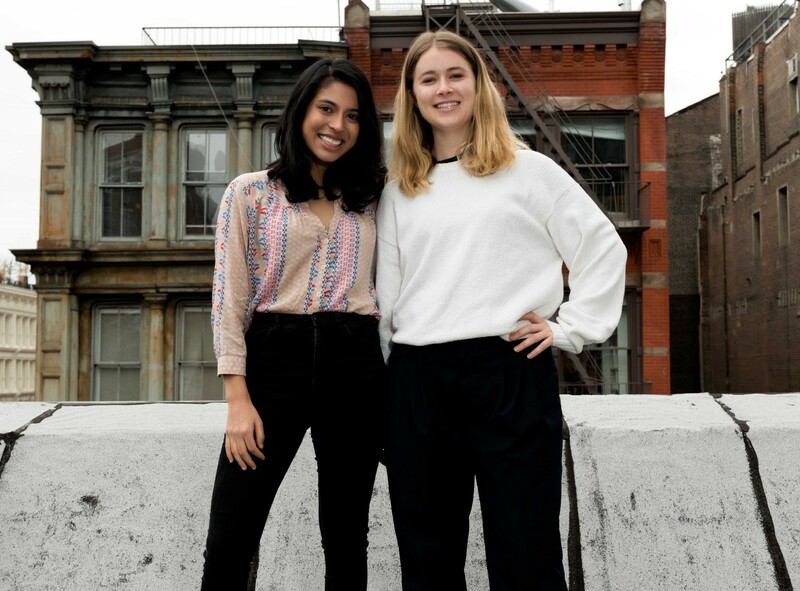 I had pleasure interviewing cofounders Viveka Hulyalkar and Alex Salvatore are making it easy for people to donate corporate dollars to causes they care about by visiting retailers they love. Beam is the first and only social impact app to turn everyday retail experiences into opportunities for users to support causes that are important to them. Popular brands including Think Coffee, Dig Inn and Dos Toros are already partnering with Beam to help them deepen connections with hard-to-reach millennials, who are eager to get involved in social causes but often don’t know where to start. Jean: What is your “backstory” of how you became a founder? Viveka: When I was 15, I started an environmental nonprofit in Cleveland. The number one way to promote anything in Cleveland is to try to partner with the Cavs, so I cold-called a number I found online. After the NBA eventually sponsored us and we installed $1M worth of solar panels in local schools, I realized that brands I cared about were investing a lot in causes I believed in, but I had no idea as a customer. I went to college at Brown, and later went on to work for McKinsey in New York. While in consulting, I worked with several retail clients, who were all struggling to retain millennials. A common thread emerged that one cause was that retention marketing is outdated — it’s designed around discounts, which drive short-term spikes in traffic, but millennials really stick with brands that give them a sense of shared community and values. I started digging into market research and realized that a brand’s social responsibility plays a big role in building that type of brand community, and from my previous experience I knew that brands are doing a lot to give back with very little customer awareness. As I recognized how acutely retailers needed a better tool to reach young customers and how much young people want to make a greater impact in their daily lives, I decided to work on Beam full-time. Alex: I was born in Orange County, CA and attended Tufts University. After graduating with a BS in computer science, I then landed a role as an iOS developer at Tinder. I was the only female engineer when I started and the second female engineer ever at Tinder. I worked at Tinder as they grew from a modest team of 75 to a two-office organization of 300+. I met Viveka through friends in March of 2017 and started contracting for Beam. After realizing we had a complementary professional dynamic and a shared mission, I decided to join Beam full-time in September 2017. Alex: I mean I think off the bat Beam stands out for its innovation. We’re putting corporate spending into the hands of the people. We’re putting values at the front of consumerism. At this time in history, those two things are very important and it’s what I see us moving toward in the future. It’s all a credit to Viveka, she has a great mind for making things make sense. Other than that, being a venture-backed, female-led, diverse tech company makes us unique. Viveka: Building off of Alex’s point, one thing that’s unique about Beam is that we’re leveraging resources that already exist to help both brands and everyday people achieve more meaningful outcomes. Retailers donate $4B every year in corporate philanthropy, but 90% of Gen Y and Z customers don’t have any awareness of charitable programs for brands they support. By putting corporate philanthropy in customers’ hands, we see young people become increasingly aware of our partners’ values and return more often. We’re creating a return on our partners’ existing investment in social good, driving all brands to follow their lead, and we’re also helping consumers realize their innate power to make a difference every day through small, repeated actions. Alex: Of course! When you’re growing a company that will change the world, every project is exciting. That being said, we don’t want to give too much away right now! Viveka: We’re working on announcing our first round of funding and launching new exciting places and ways to use Beam. Alex: The book Abundance by Peter Diamandis and Steven Kotler completely changed the way I thought about making change. We’re in an almost unprecedented time in history where technology has the power to change how we live and how resources are distributed. I went on to read their other book, Bold. It’s an incredibly eye-opening book that redoubled my interest in tech. I cannot recommend it enough. Both books outline exactly how we can create exponential change through tech. Your initial hires are going to be with you all the time, through good and bad. They’re more than coworkers. You’ll work with them for years and trust them to make good decisions on behalf of the company. You’ll rely on them as a first look as well. If something goes wrong, you don’t want a person who’s going to try and cover their mistakes. You need someone who will say: there’s a bug, this is why & this is how I’m fixing it. In this vein, you need to be someone your employees can trust enough to say that to. Everyone makes mistakes, how you handle them is the important part. When you’re working in a fast paced environment like a startup, it can be easy to make decisions and changes on the fly. It’s important to move fast, but that’s why documentation is crucial. It can be extremely helpful when onboarding new members, or even when you look back a month later and think to yourself, ‘well why would i do it that way?” When you’re dealing with code, this can help you navigate the idiosyncrasies that come with pivoting and refining your product. While our core product has stayed the same, we’ve pivoted a lot in regards to implementation and the services we rely on. I’ve definitely had moments where I look at a piece of code that makes no sense, but when I look at the comment it reminds me that it’s a patch for a bug that happened 3 months ago, but needs to be there for backwards compatibility. This is especially important for when we bring on new iOS devs. Without that comment, it would be easy for a new dev to think that code was superfluous and should be deleted. We’ve all seen many startups fail because of founder issues. If there’s something that’s bothering you or an issue you’re concerned about, bring it up with your cofounder immediately, no matter how large or small. When you’re in it for the long hall, it’s important to establish this practice early. Letting things fester or being passive aggressive will only multiply the problem down the line, which is definitely something you don’t want. I’m not going to lie, this can be awkward at first. I’ve definitely had to psych myself up for some conversations with viveka and, conversely, have had to hear some tough feedback about myself. That being said, hearing that feedback is SO important. It’s helped me grow and hone the skills essential to this position. I think we’d both agree that it’s also made our relationship stronger. When you’re focused on building your company, it can be easy to fall into a mindset of viewing introductions as a means to an end. Your contacts will be able to sense this transactionality. Be genuine and focus on building relationships. The relationships you establish now will stay with you potentially much longer than you stay at your company. A few months ago, we had a lot going on at Beam and I went heads down for a while. I was only focused on the company. I left messages unanswered since they weren’t directly affecting my concerns at the moment. This can be a good attitude to adopt during certain times of crisis, but I let it go on for about a month. At a certain point i realized that replying to the people who were reaching out and invested in me and my company’s success was just as important as the things I was working on. It was also good for my mental health to reconnect. Thankfully everyone understood, but I do have to keep myself from falling into this trap. This one might sound obvious or negligible, but it’s honestly one of the most important takeaways from this experience. It’s so easy to get discouraged by not getting a response back from a contact. This could be someone you know or a cold email. I’ve found that following up, even once, increases response rate by around 90%. Most people you’re emailing are so inundated that it’s very easy to forget to reply to a first message. This could be for a number of reasons, but it most likely has nothing to do with you. Following up shows tenacity and diligence. It also simply reminds your contact about that first email that went unanswered. This will usually increase the priority of responding. I say this both as someone who follows up & someone who truly appreciates a follow up. It’s not embarrassing or bothersome to follow up, it’s embarrassing NOT to follow up. Viveka: When I was initially looking for a Cofounder, I met 5 people over 6 months who were ready to quit their jobs and join forces with me. On some level it was appealing to grab one of these people and move on to grow the company, especially because I was paying technical contractors from my savings in the meantime, but I knew this person would play such a critical role that it was essential to find the right person. After each of these candidates submitted a work sample that a technical advisor reviewed, I travelled to meet them in person if they seemed promising. Some weren’t quite as advanced as my technical advisor thought they should be, and others didn’t seem to have the level of buy-in to the mission I was looking for, but none of them was so bad in either department that there was a clear dealbreaker. Finally I met Alex, who was amazing technically and whom I immediately clicked with in terms of vision, values, communication style, and personality fit. We contracted for a few months to ensure that our professional dynamic would be as good as we expected, and then Alex made the decision to leave her amazing position at Tinder, move to New York, and become a Cofounder full-time. It was really tempting to go with someone who potentially seemed “good enough” and the wait was agonizing at the time. However, Alex has been so critical to every aspect of our success — externally in terms of building a product that people love and delivers value to our clients and internally in terms of culture — that it was 200% the right decision for the company long-term. I’ve found it’s most effective for me to develop a long lens to make sure that we’re dedicating time and resources where it will serve us best in the bigger picture, but to prepare to constantly tweak our approach. I first found it helpful to ask experts and mentors what success looks like in 1, 2, and 5 years looks in terms of concrete milestones, like user and revenue numbers. I then work backwards to figure out what we’ll need to accomplish each month to get there. These plans always change as our product evolves, and it’s important to feel comfortable deviating from an initial plan when necessary to reach an even better outcome. However, it helps us stay focused to continuously reevaluate our own definition of success rather than operate without one. Diversity is of course really important as a social ideal and also for a company’s commercial success — we’ve all heard that diverse teams achieve better financial outcomes. It’s also clear that it’s much easier and more effective to maintain diversity from Day 1 rather than to try to solve for it once a company has scaled. However, one of the major ways that startups hire is by seeking referrals from their friends and networks. This is a major reason that a lot of startup teams are homogeneous, with several different versions of a person with approximately the same life experiences. Before we needed to make a hire, we were conscious to build a network that contains the diversity that we wanted to see reflected on our team. Viveka: Katrina Lake- Scaling StitchFix to IPO while strategically maintaining profitability from a relatively early stage is really inspiring and unlike the trajectory of so many tech companies. I also really admire how she’s built a caring and inclusive culture by example, by taking a full maternity leave, and I’d love to hear her thoughts on market trends more generally, given her insight as an investor and Board Member for other category leaders like Glossier.